What we cannot see are the millions of different hormonal changes and chemical reactions occurring both in the mother and the developing baby, all of which are controlled and coordinated through the nervous system. Now more than ever, during pregnancy you need a nervous system that responds immediately and accurately to changing requirements in all parts of your body, and therefore you need a healthy spine! 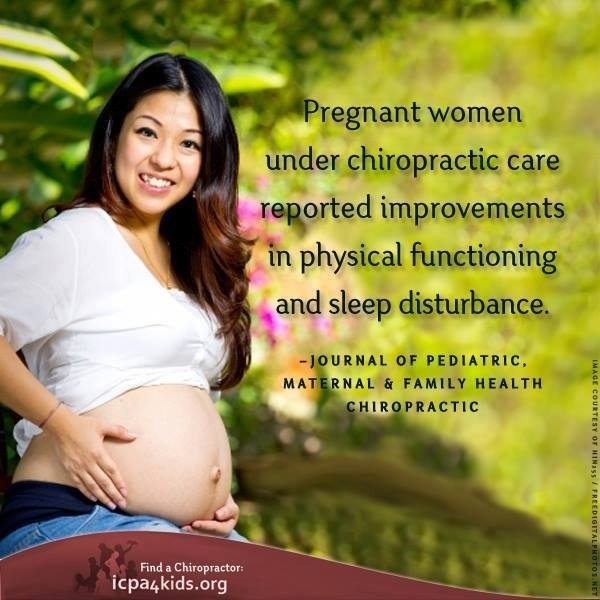 Chiropractic care prior to conception promotes a more regular menstrual cycle and optimal uterine function. It prepares the body to be strong, supple, and as balanced as possible to carry the pregnancy. Restoring proper nerve supply to reproductive organs has helped many couples who thought they were infertile. And adjusting women throughout pregnancy is one of the most rewarding parts of our work, because a healthier pregnancy means an easier labour and delivery, and a better transition for the baby into this life.